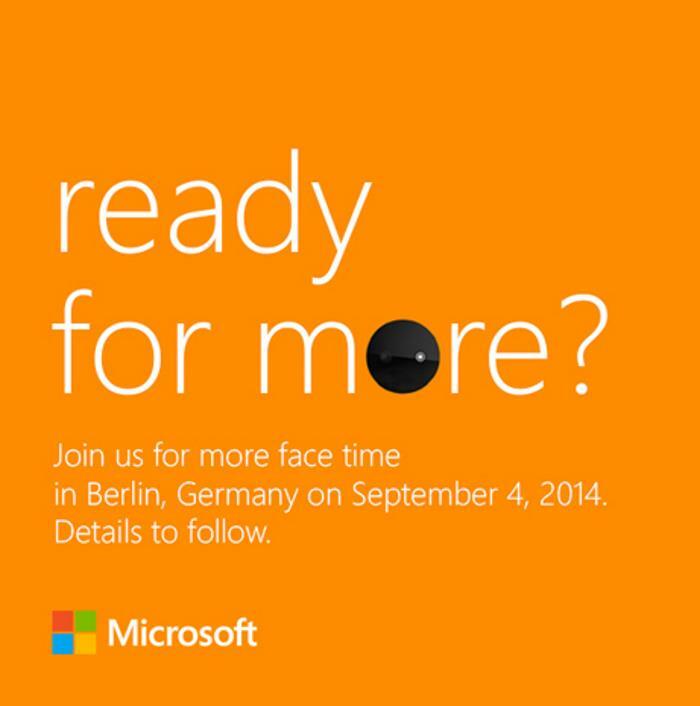 Microsoft has sent out press invites for its IFA 2014 event which will take place on September 4th. The invite says “Ready for more” and it seems the company may launch a camera-centric Windows Phone device at the event. We’ve been hearing about the alleged Nokia Lumia 730 aka Superman from some time, which is rumored to come with a 5MP front-facing selfie camera. It could be the device to see the light of the day next month. There’s no confirmation about what we’ll see at the event, and it’s just a speculation so a grain of salt is required. There’s a chance we may get to see other Windows Phone handsets as well, but it’s not confirmed yet. As far as the Nokia Superman is concerned, the alleged device is said to come with a 4.7-inch display, a quad-core processor, 1GB of RAM, 8GB internal storage with a microSD card slot, and should come with Windows Phone 8.1 as its operating system. We’ve also seen the device posing for the camera as well, running the Lumia Debian Red update, which we don’t know if it’s the GDR1 or the GDR2 which is expected to launch in November. Anyway, folks just mark the date, we’ll update you as soon as more information comes up.